For the past two years, trade publications have talked of a gin renaissance and according to recent figures, it shows no signs of slowing down. Sales of gin are still soaring with people buying the equivalent of more than a billion gin and tonics in the past 12 months. Why has this spirit made such an impact today? Some put it down to the increase in craft distilleries, using local ingredients and artisan techniques. According to HMRC figures, a total of 40 new distilleries opened last year with the Wine and Spirit Trade Association saying 283,000 hectolitres of gin (around 40 million bottles) were sold over the past year. It’s however the younger clientele who are heading this renaissance, rather than the middle-aged G&T aficionados, with the spirit becoming a cosmopolitan alternative to vodka. Exports of gin are up too, particularly to America, with pundits putting it down to the James Bond and Downton Abbey effect. Experts expect the renaissance of gin to continue with consumers moving up to higher priced brands once they develop a taste for the spirit. All good news thinks Bar Manager Carlo Pallone of Quarter Bar & Lounge who adds that with his particular venue, gin based cocktails have always been in vogue. 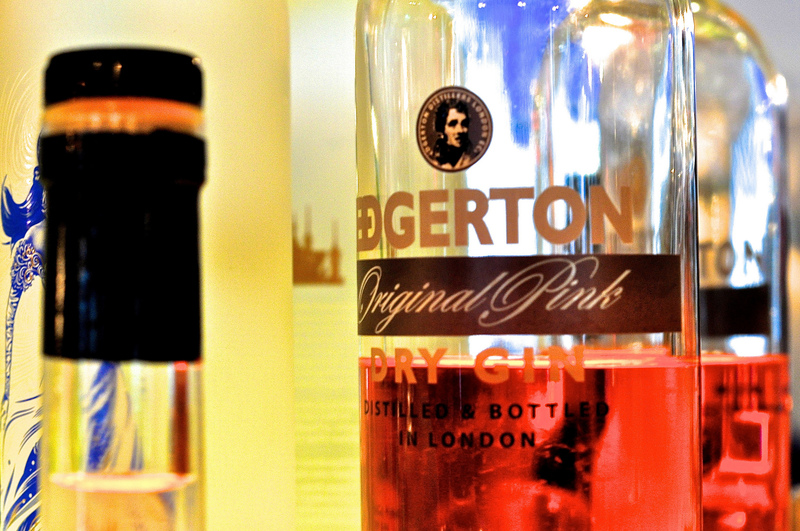 His slightly older clientele have a wide knowledge of the various gins, mostly preferring the better known brands, and often discuss with Carlo which particular brand of gin to use in their cocktails. 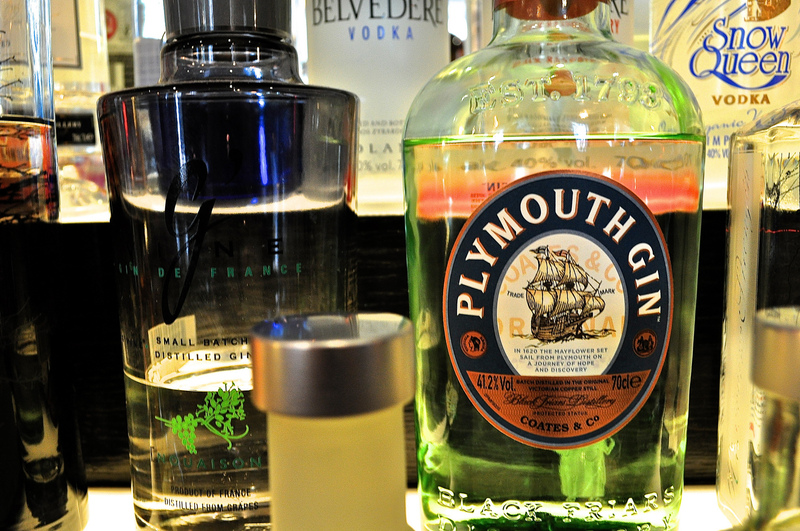 The bar carries a range of gin brands – all subtly different, each distillery bringing their own recipe to bear, with either hints of fruit, herbs or spices to give it a unique twist. His latest finds however include Sipsmiths, Monkey 47 and No.209 however Tanqueray No Ten is his own personal favourite. He loves the combination of the 10 botanicals with give this gin its unique taste. 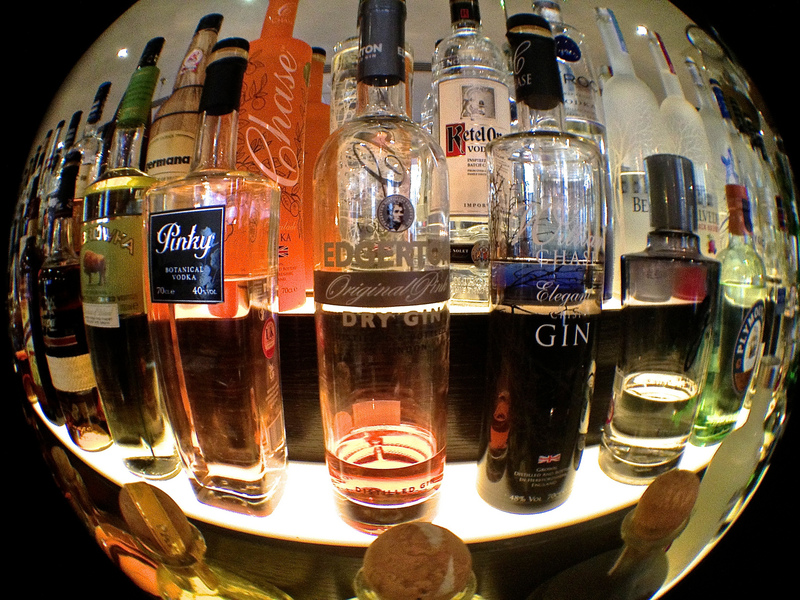 He’s open however to the newer gins coming onto the market – he just hasn’t had the time to taste them all! 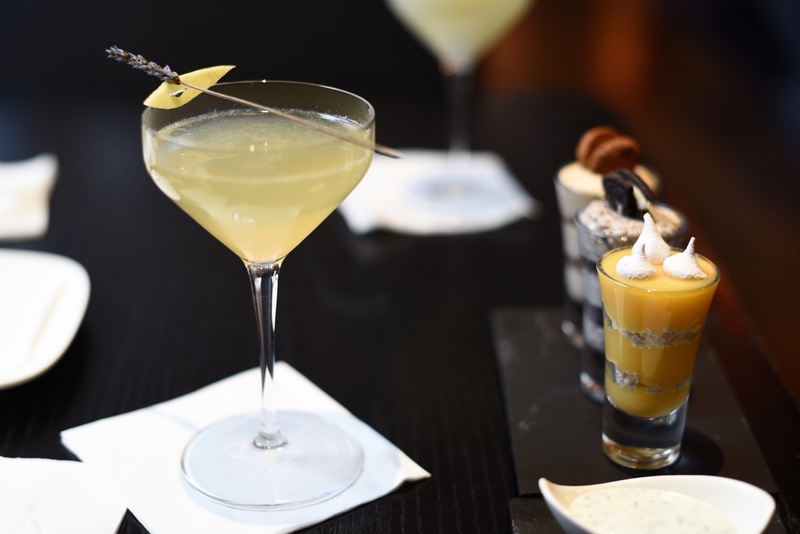 Although equally at home mixing up a quality vintage gin cocktail like a Cosmopolitan or a martini, Carlo’s own take is to create a gin cocktail using in-season fruits and herbs such as lavender. It’s about simplicity he says, a feeling echoed in a recent article about the best spirits and cocktails for 2017 by Forbes.com. So, without further ado, here’s a couple of Quarter Bar classics: The White Lady and The Director, left and right respectively below. 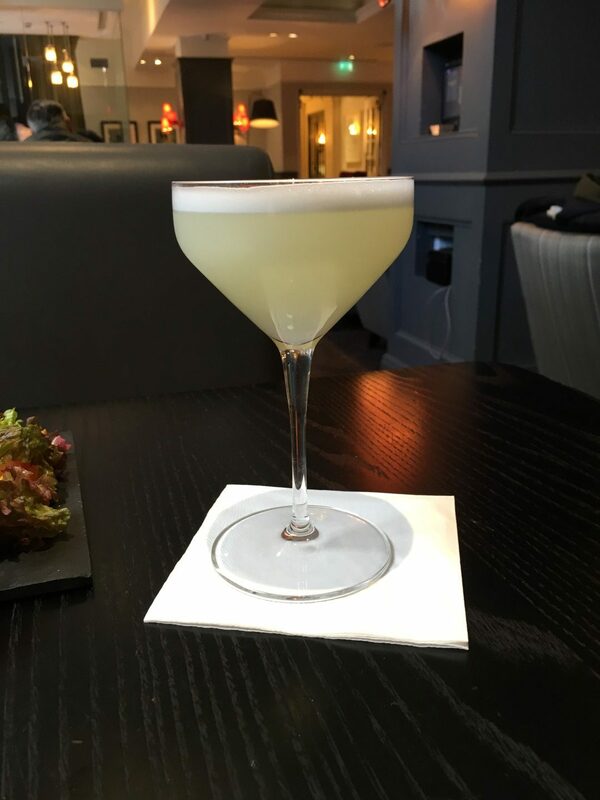 The White Lady is thought to have been created by the legendary bartender, Harry McElhone whilst working at London’s Ciro Club in 1919, just after the First World War. The Savoy’s Harry Craddock included it within his tome on cocktails, The Savoy Cocktail Book, and the rest is history. According to Joe Gilmore (a head barman at The Savoy), it was Laurel & Hardy’s favourite tipple. It’s made up of 50 ml of gin, 25 ml of triple sec, 25 ml of lemon juice, 25 ml of sugar syrup and half an egg-white. Add all the ingredients to a non-iced shaker (known as a dry shake) and shake until a thick foam is created. Add ice at this stage and shake again to chill and double strain into a chilled glass. Garnish with a lemon twist if desired. 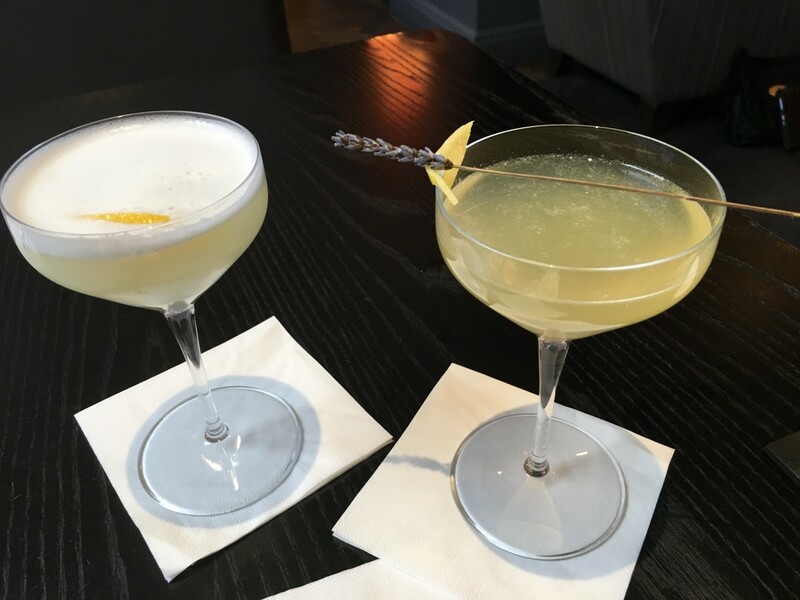 Carlo’s Director however, takes on a modern twist with 50 ml of lavender infused gin, 20 ml of elderflower liqueur, 20 ml of lemon juice, 5 ml both of green chartreuse and gomme syrup and two dashes of orange bitters. Pop all the ingredients into an iced shaker, mix well and double strain. Garnish with a sprig of lavender.